New finding aid available for The Center for Integrated Media Records. The collection covers the years 1993 to 2018, with the bulk of the material ranging from 1996 to 2009. The collection includes administrative records, curricular planning materials, materials related to viralnet.net, faculty and student work, projects created by and for the Center. Invitation to Womanhouse, 1972. From the Feminist Art Materials Collection. 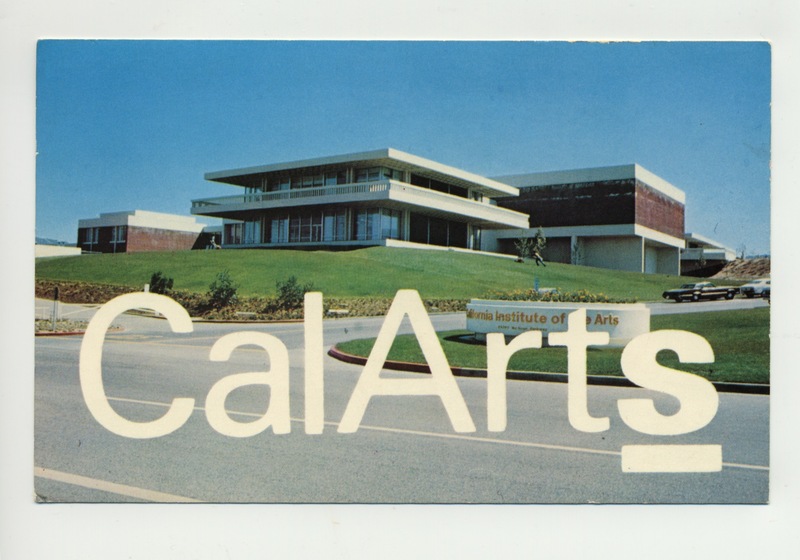 Postcard, View of the front of CalArts, ca. 1970s. The CalArts Library’s Special Collections & Institute Archives department houses collections of rare and unique materials of enduring cultural and historical value in support of research and art making by scholars, artists, students, and the general public. Special Collections and the Institute Archives are located in the library, on the 2nd floor of CalArts' Main Building. Need to know if we have something in our archives? Want to view archival materials? Need research help? For off-site researchers, submit a request for simple research services by archivist (Extended research requires a visit to our archives). For on-site researchers (including class visits), submit a request and book an appointment to view materials in our Special Collections and Institute Archives Reading Room. Request digitized copies of materials. Please allow 7-10 days for the processing of all requests. All materials in Special Collections are cataloged and may be found by searching the CalArts Library Catalog. To view items from Special Collections, please fill out the request form. Special Collections materials do not circulate and must be viewed in the Special Collections and Institute Archives Reading Room. Viewing is by appointment only and availability can widely vary. Please plan visits well in advance. The CalArts Image Services Department is able to make low/high-resolution digital scans for patrons. There is no self-service photocopying. There is a charge for reproducing all materials. Payment must be received before copies will be produced. See the Reproduction Policy and Price List for more information.